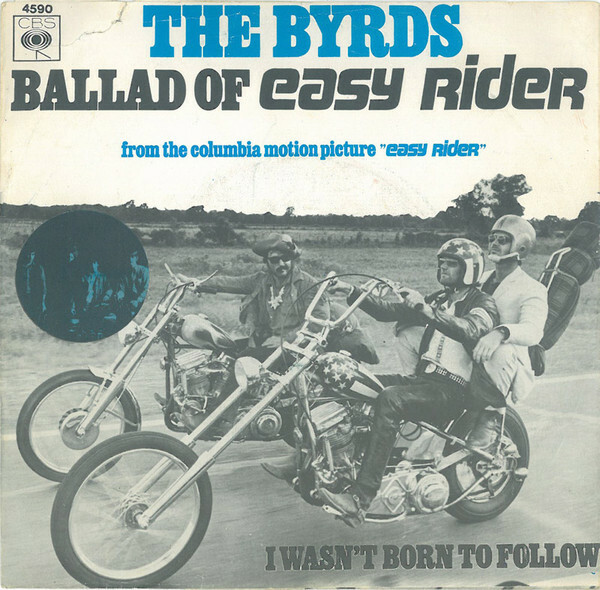 1969 Song of the Day is- Ballad of Easy Rider- which was recorded twice once by The Byrds and also solo by Roger McGuinn of the group. The version that is on the soundtrack of the famous 1969 movie- Easy Rider- is Roger McGuinn’s. Although McGuinn is listed as the author- he had help from a fella named Bob Dylan. Peter Fonda had wanted Dylan to write the theme for the movie but Dylan declined- he scribbled “The river flows, it flows to the sea/Wherever that river goes, that’s where I want to be/Flow, river, flow” and said to give it to McGuinn that he would know what to do with it. When Dylan saw that he was going to be given songwriting credit on the song he called McGuinn and demanded that his name be removed from the film credits and future releases of the song. McGuinn would later say he thought Bob wanted distanced from the film because he didn’t care for it- especially the ending. The Byrds single went to #65 on the Billboard Hot 100. The movie Easy Rider is one of the iconic movies from the late 60’s. I think McGuinn did a good job on it. It fit the movie nicely. Is this that one scene where they are out in the middle of flat desert riding? I don’t recall the song but I do recall that scene. Interesting about Dylan wanting no ties to it. If I was McGuinn I would feel such pride in knowing Dylan trusted me to do it right. We are doing a good job following where the river flows on our current road trip. Good travel song.